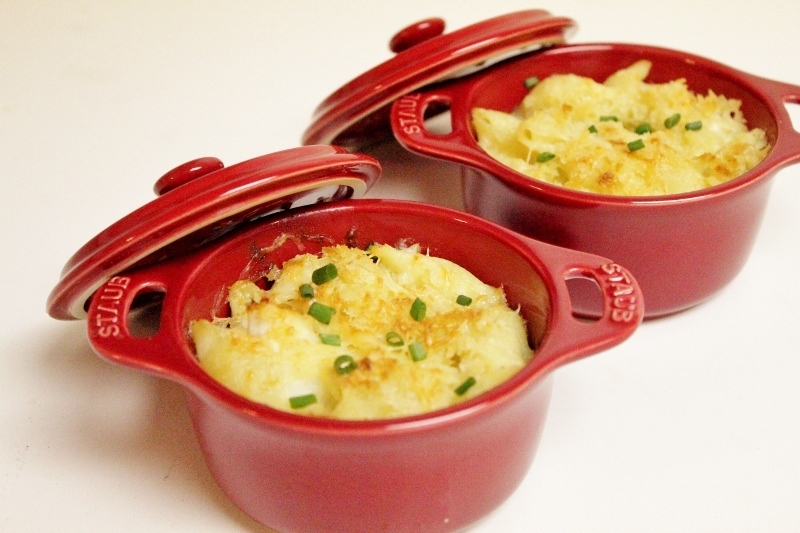 Inspired by an episode of Throwdown with Bobby Flay with a lobster mac and cheese challenge, I decided to test out my own recipe for dinner. 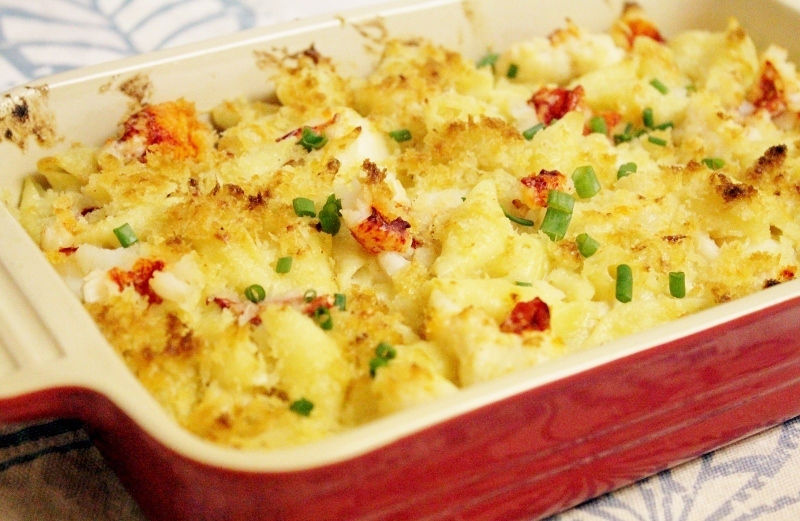 With Vu’s love of mac and cheese and my craving for lobster, it was a perfect combination. I went the unconventional route and added mascarpone cheese to my recipe. Yes, mascarpone cheese! Who says you can only use mascarpone cheese for desserts! The sauce was creamy and delightful! The lobster meat was tender and sweet, elevating the dish to a new level. I would proudly serve this dish at a dinner party. 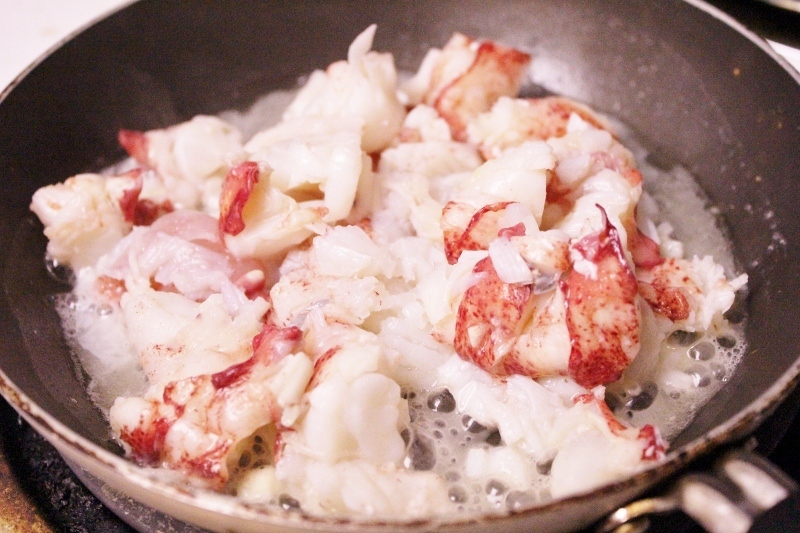 In a large stockpot, add 1 cup of water, and steam the lobster for 5 minutes. 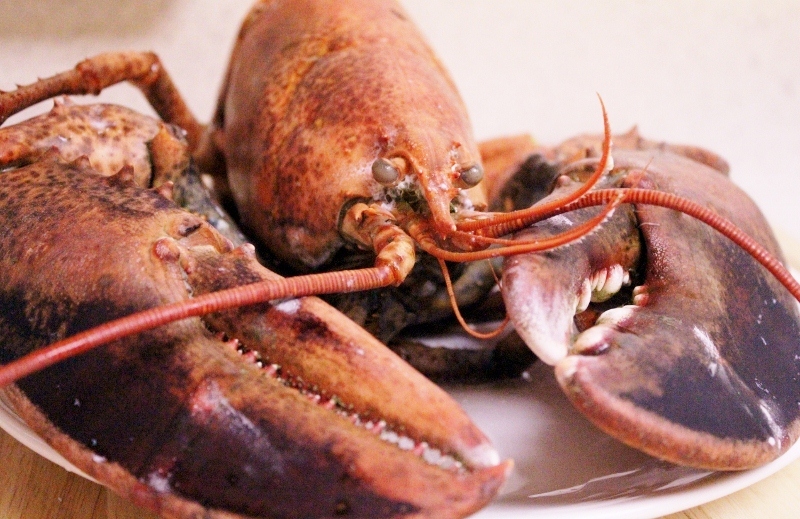 Let the lobster cool down before you separate the meat from the shell. 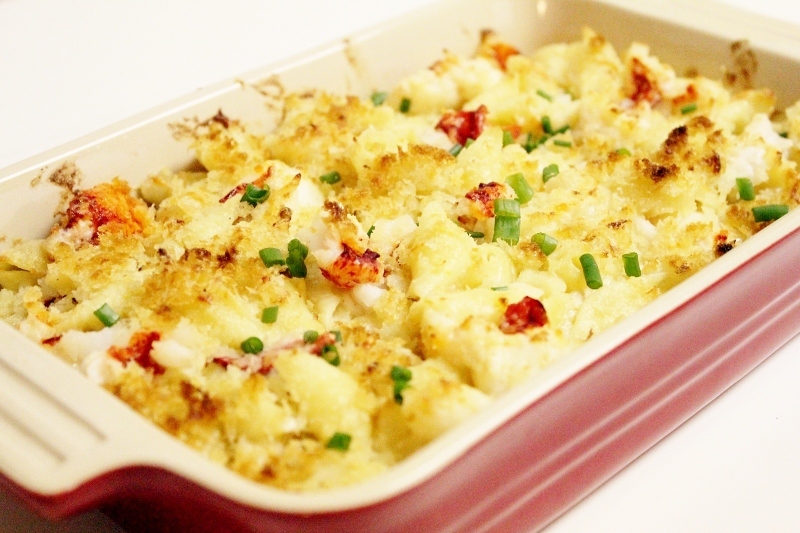 Cut the lobster meat into small pieces. In a small saucepan, melt the butter and add in the garlic. Sautee the lobster meat and season with a pinch of salt and a pinch of pepper for 5 minutes on medium heat. Remove from heat and set aside. Preheat the oven to 375˚F. 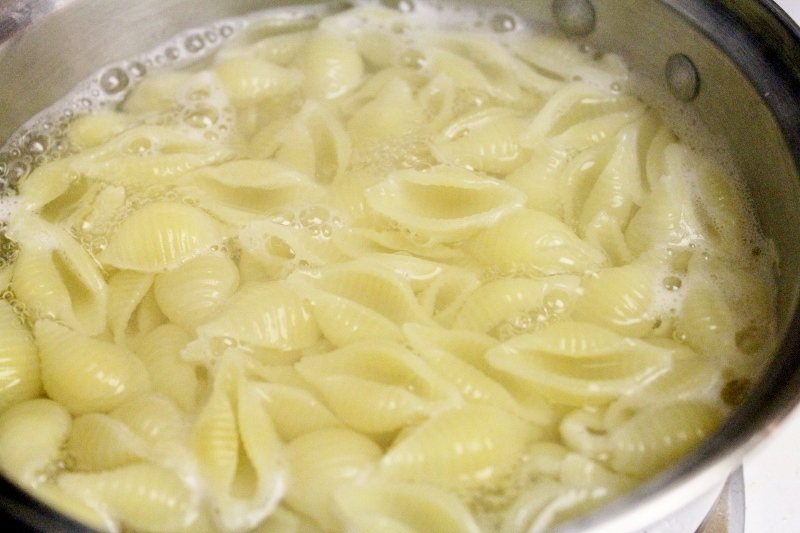 In a large pot of salted boiling water, cook the shell pasta until al dente, 6-8 minutes. Drain and set aside. For the béchamel sauce, in a small saucepan, melt the butter on low heat and whisk in the flour, stirring constantly for 2-3 minutes until lightly golden brown. Remove from heat and set aside. 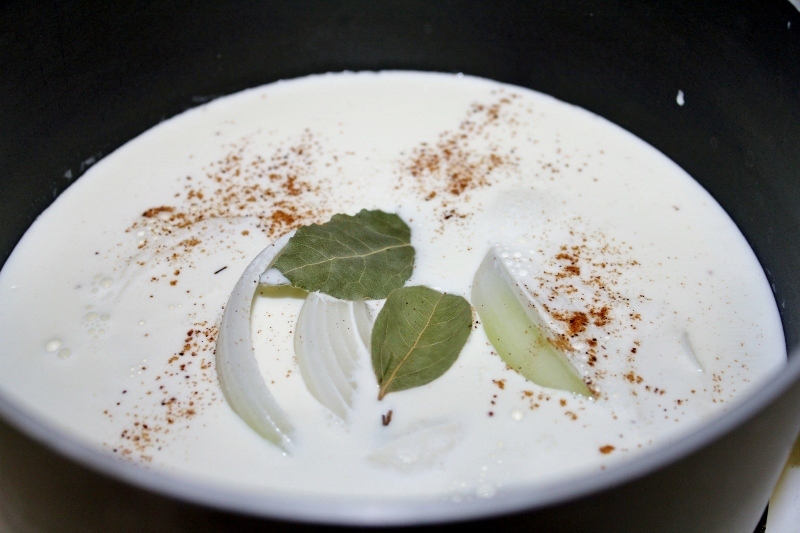 In a medium saucepan, combine heavy cream, half and half, bay leaves, onion, and nutmeg and bring the mixture to a simmer over 10 minutes. Strain and discard the solids. 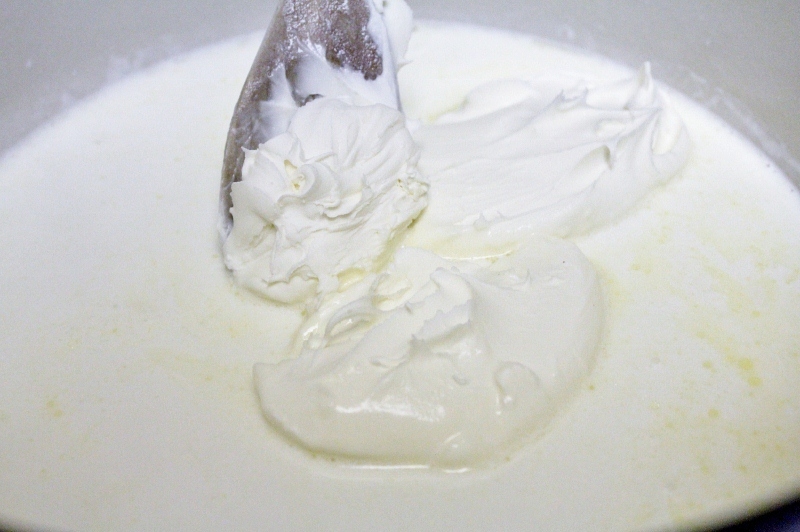 Return the cream mixture to the sauce pan and gently stir in the mascarpone cheese until everything is well blended. 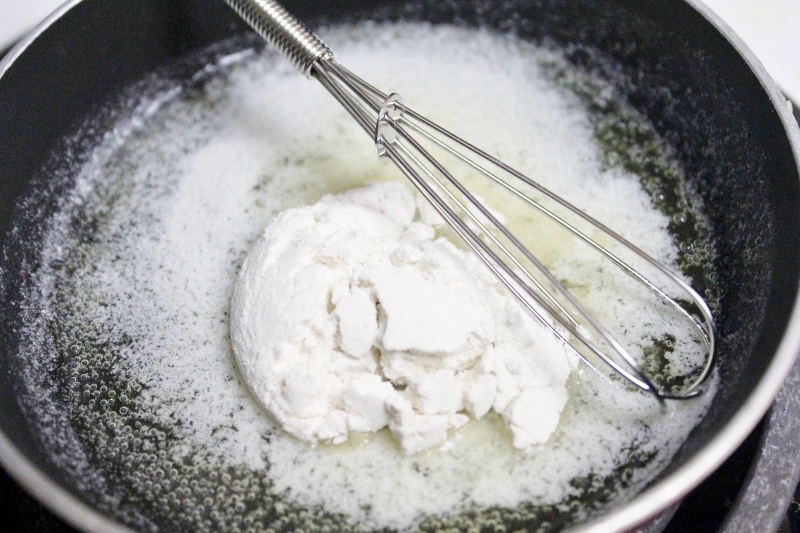 Whisk in the butter and flour mixture and continue cooking for 10 minutes on low heat. Add in the pasta and lobster meat and season to taste. 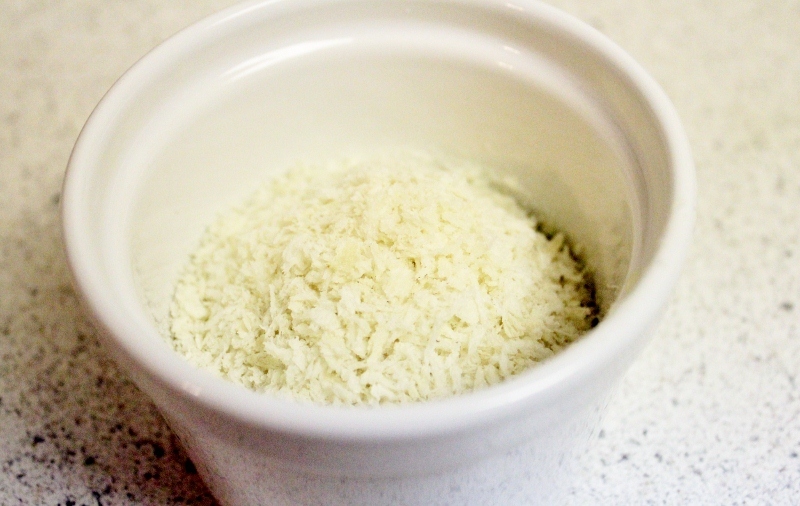 In a small bowl, combine the bread crumbs and butter and stir to moisten evenly. 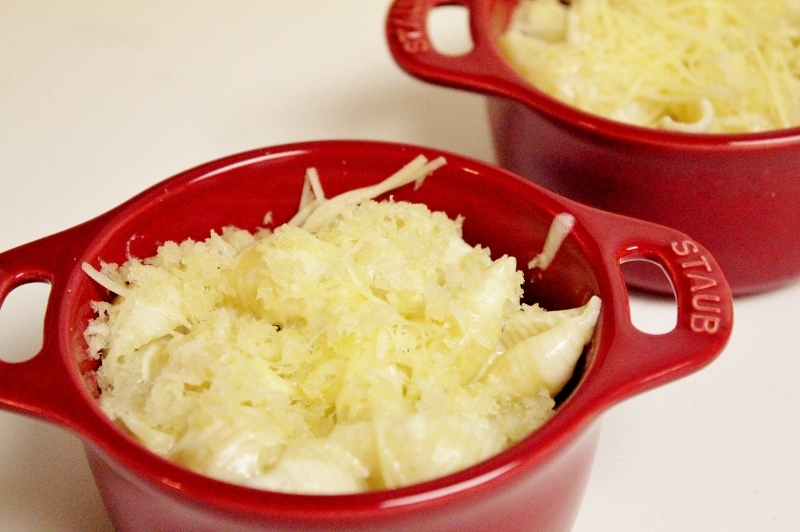 In a casserole dish or individual cocotte, add the pasta mixture, top with Gruyere and bread crumbs, then bake for 10 minutes, or until the bread crumbs are golden brown and the cheese has completely melted. Remove from the oven and let it cool. Garnish with chives before serving.